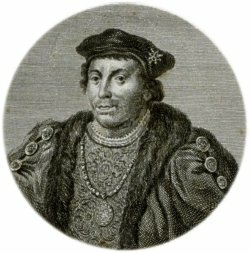 On this day in 1521, Edward Stafford, 43, third duke of Buckingham, was beheaded on Tower Hill outside the Tower of London, found guilty of high treason against Henry VIII. In Shakespeare’s play Henry VIII, the king said of Buckingham, “He hath into monstrous habits put the graces that were once his, and is become as black as if besmear’d in hell.” Today few believe that the duke actively plotted to overthrow his king. But Edward Stafford was guilty nonetheless — of being too noble, too rich and too arrogant to survive in the increasingly paranoid court of Henry VIII, his cousin once removed. Buckingham’s life had been marked with loss and suspicion. When he was five years old, his father, the second duke, was executed by Richard III. Young Edward Stafford was hidden from Richard III in relatives’ homes, not to emerge until Henry VII defeated the last Yorkist king at Bosworth. He became a royal ward of the Tudor family, knighted at the age of seven. But as he grew into a proud, preening adolescent, Henry VII cooled toward him, fearing that he outshone the heir to the throne, the future Henry VIII. 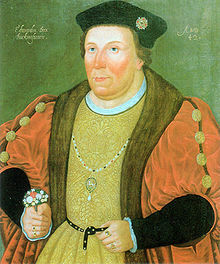 Henry VIII succeeded to the throne in 1509, unchallenged by his older cousin. In fact, the duke was lord high steward for the coronation and carried the crown. But over the next ten years he was pushed out of the center of power more and more. As friends, Henry VIII much preferred lower-born, jovial men like Charles Brandon and William Compton. And the man who ran the entire kingdom was Cardinal Thomas Wolsey. There was no place for Buckingham. In response, Edward Stafford married a noblewoman of the Percy family, fathered four children (and several illegitimate children), and withdrew to his vast estates, where he was the unquestioned man in charge. What changed in the cousins’ relationship to draw treason charges in 1521? For one, it was becoming apparent that Henry VIII would have no male heir. Catherine of Aragon‘s last pregnancy was in 1518. They had a daughter, Mary. But the Tudor dynasty was a new one, and Henry VIII and Cardinal Wolsey weren’t sure that the nobility would accept a female ruler someday. Might they not look to the duke of Buckingham, instead? 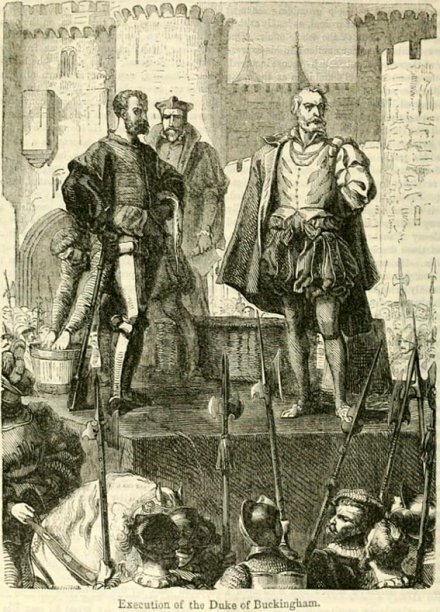 On April 8, 1521, the duke was ordered to London from his castle at Thornbury. He set out for the court, seemingly unaware of any danger, and was greatly shocked when arrested along the way and taken to the Tower. At his trial, he was charged with “imagining and compassing the death of the king,” through seeking out prophecy from a monk named Nicholas Hopkins about the chances of the king having a male heir. Evidence was supposedly obtained from disgruntled former members of the duke’s household. Buckingham denied all charges. But a jury of 17 peers found him guilty, led by the duke of Norfolk, who condemned him — while weeping. Parliament passed a bill of attainder, and the duke’s enormous wealth — his castles and holdings and titles — passed to the crown. The illustrious Stafford clan never rose to prominence again. They were the first noble family to be crushed by Henry VIII … but definitely not the last.